Welcome to our activity hotel in Ötztal, welcome on holiday! An all-round relaxing time out awaits you at our accommodation in Tyrol surrounded by the spectacular scenery of the Ötztal and Stubai Alps. Our activity hotel is situated in Ötztal in the picturesque mountain village of Niederthai and captivates you with time out that is all about unique outdoor experiences. As your hosts we are looking forward to welcoming you to our activity hotel in Ötztal in person and helping you get to know our quaint valley better. You can arrange your holiday in Ötztal to suit your requirements at our activity hotel. Choose between the cosy rooms and spacious holiday apartments. The rooms at our activity hotel in Ötztal are charming with lots of light, wood and furnishings out of natural materials. The family rooms with two separate rooms are superb for parents and their children. The apartments at our accommodation in Tyrol are ideal for anyone who wants maximum flexibility combined with lots of space: couples, families and friends. Our activity hotel in Ötztal is the ideal starting point for a number of outdoor activities. Let your gaze wander over the gently rolling, sunny plateau and snowy forests spread all around our accommodation in Tyrol. A varied lesure offer for the whole family guarantees a perfect holiday in the activity Hotel Tauferberg - an excellent cross country skiing area, a beginner and family alpine ski area, snowshoe- and winter hiking paradise. Last but not least, the crystal clear mountain air around our activity hotel in Ötztal also contributes to you being able to enjoy your holiday in Tyrol to the full in summer and in winter. The impressive mountains surrounding our activity hotel in Ötztal offer a wonderful panorama. The outdoor adventure starts right on the doorstep of our activity hotel in Ötztal. Usually, you only need your car for the journey here and then you can confidently leave it in the car park. Anyone who wants to totally immerse themselves in Ötztal’s fascinating nature arrives by public transport. We’ll be happy to pick you up from the train station or airport. In winter guests at our accommodation in Tyrol enjoy themselves with cross-country skiing, on the variety-packed ski slopes in Ötztal, with snowshoeing and ski tours or with tobogganing. 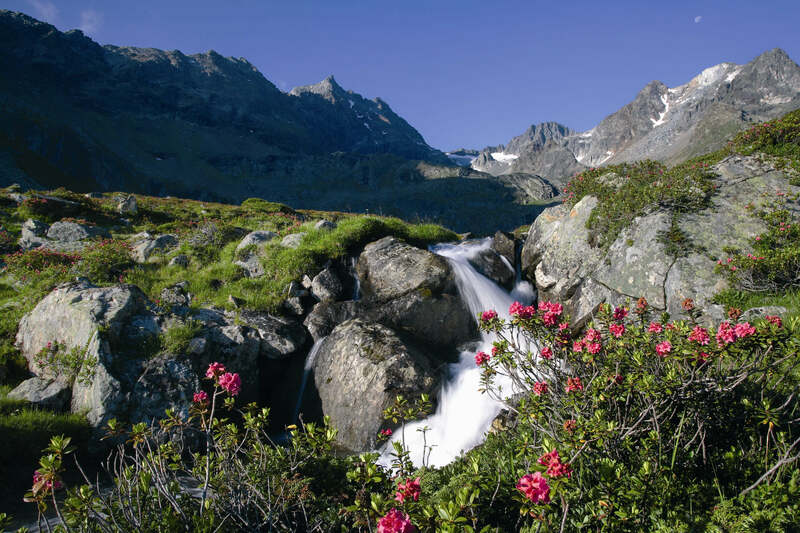 The mountains around our activity hotel in Ötztal offer something for all tastes in summer too: from long walks and leisurely hikes to challenging mountain tours and climbing adventures at lofty heights. Cyclists also totally get their money’s worth around our accommodation in Tyrol. Whether your passion is for mountain biking or you prefer a leisurely e-bike tour: countless paths and trails allow our guests to explore the Ötztal on two wheels. Outdoor pools and swimming lakes in Tyrol also invite you to swim, splash around and sunbathe to your heart’s content. Worthwhile destinations near our accommodation in Tyrol, like Area 47, the regional capital Innsbruck, the Ötzi village and Aqua Dome in Längenfeld make your holiday in Ötztal in the summer and winter a really special experience.